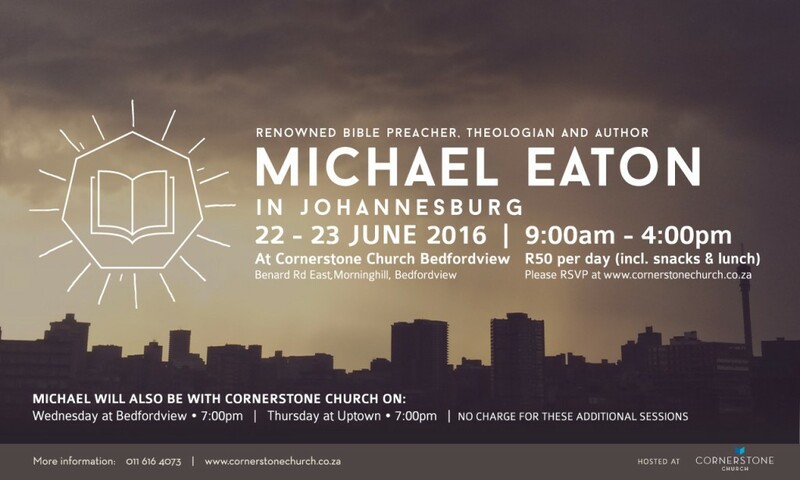 Renowned Bible teacher, theologian and author, Michael Eaton, joined us in Johannesburg on 22, 23 June at Cornerstone Church Bedfordview. Michael is excellent at making theology accessible and stimulating for everyone. We’re thoroughly enjoyed having him with us again for two days.